CYN Congress 2010 – The Society for the Conservation of Philippine Wetlands, Inc.
As part of the celebration of the International Year of Biodiversity, this year’s theme Wetlands and Biodiversity focused on educating the participants on the value of biological diversity and its significance to our daily lives. 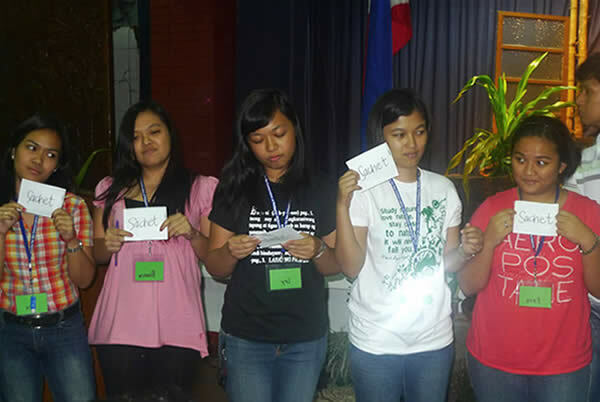 CLEAR ecocamp graduates from lakeshore communities of Tanay, Los Baños, Muntinlupa, Lumban, Pangil and San Pablo City participated the Congress. 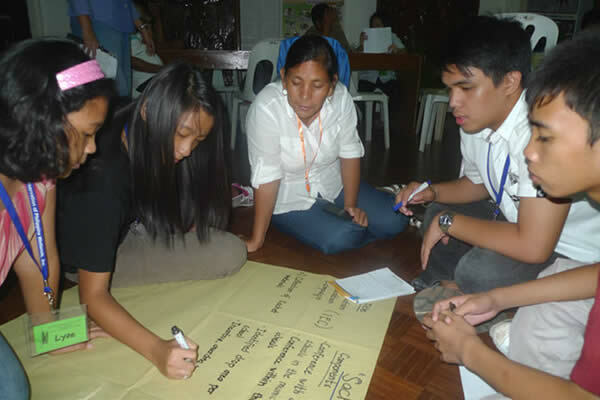 Eco-campers from Angono, Pateros, Binangonan and Taguig City also attended the event. The Congress was a 2-day event, giving the participants more opportunity to learn from each other as well as gain new experiences and learnings. 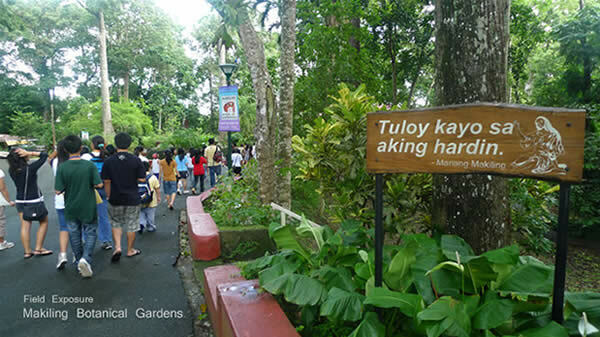 The venue of the Congress was the Auditorium of the Ecosystems Research and Development Bureau of the Department of Environment and Natural Resources in UP-Los Baños. All delegates were billeted at SEARCA Residence Hotel. 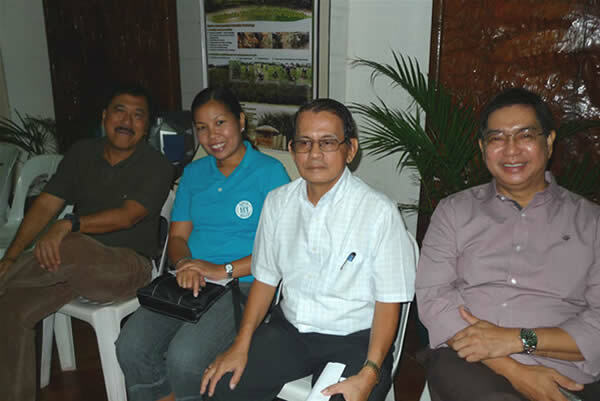 CLEAR (Conservation of Laguna de Bay’s Environment and Resources) is a tripartite partnership of Laguna Lake Development Authority (represented here by General Manager E. Manda), Society for the Conservation of Philippine Wetlands (represented here by Trustee H. Palis), and Unilever Philippines (represented here by EC Manager L. Vengco). 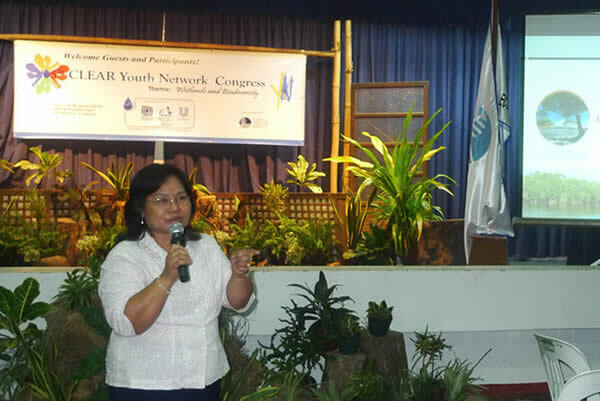 Assistant Director L. Florido of the Ecosystems Research and Development Bureau is also in the photo.